Tembusu College, National University of Singapore, is proud to partner with Singapore Botanic Gardens to initiate the Green Legacy Hiroshima Project in Singapore. In order to engage all those committed to a greener planet, to future generations living free from nuclear threats, to honoring victims of wars past and present or to simply creating peace gardens in their communities, the United Nations Institute for Training and Research (UNITAR), ANT-Hiroshima and a group of other dedicated partners and individuals have come together under the banner of ‘Green Legacy Hiroshima’. Green Legacy Hiroshima is an initiative to spread worldwide the seeds – and the peace message – of trees that survived the atomic bombing. 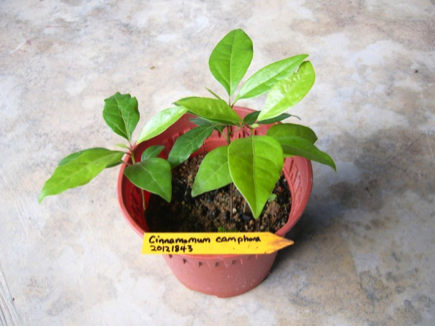 Singapore received its first batch of Camphor (Cinnamomum Camphora)seeds in June 2012 that is currently housed at the Singapore Botanic Gardens. 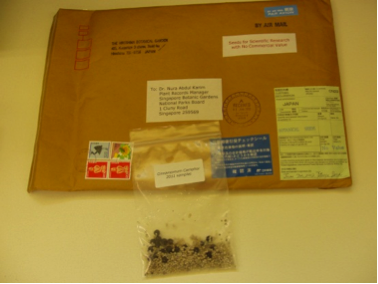 We are now looking for 8 Tembusu students to be involved in working with the Singapore Botanic Gardens to germinate and grow these seeds into saplings that will eventually be planted at Tembusu College, Singapore Botanic Gardens and possibly other spaces in Singapore. Students will be required to document (photograph, blog, video, etc.) the whole process, work with the Singapore Botanic Gardens team in their other nursery work, including soil preparation and plant propagation. Students will pair up and work at the Singapore Botanic Gardens by rotation. Expected workload is approximately 3 hours a month for a year, starting mid-October 2012. There are also opportunities for senior students to turn this project into a 4-Credit Undergraduate Research Opportunity (UROP).